Golden beryl can range in colours from pale yellow to a brilliant gold. Unlike emerald, golden beryl has very few flaws. 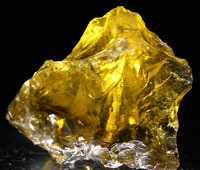 The term ‘golden beryl’ is sometimes synonymous with heliodor (from Greek helios – ????? ‘sun’ + doron – d???? ‘gift’) but golden beryl refers to pure yellow or golden yellow shades, while heliodor refers to the greenish-yellow shades. The golden yellow colour is attributed to Fe3+ ions. Both golden beryl and heliodor are used as gems. Probably the largest cut golden beryl is the flawless 2054 carat stone on display in the Hall of Gems, Washington, D.C., United States. 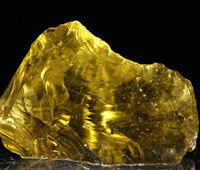 Heliodor is the greenish-yellow, yellow-green to brown variety of Golden Beryl. Heliodor crystals can help recharge healers who are finding themselves feeling emotionally overtaxed or feeling burned out. Healers can use Heliodor to bring in the golden light of love and healing through the crown, filling the body with this vibrant, golden energy. 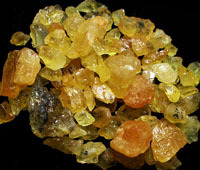 Use Heliodor with the Solar Plexus chakra to boost willpower and determination as well as gain an increased sense of vitality through the day. It is like the sun coming out on a dreary winter day. Beryl in general is a wonderful tool to keep close, as it helps to protect against any negative outside influences or manipulations. Beryl can help to release old emotional baggage that no longer serves, and can assist in the removal of stress and chaos. Physically, Heliodor can assist with problems associated with the pancreas, liver and spleen. It may also help to ease the stiffness in hands and feet caused by either cold weather or lack of circulation. Its treatise in Pakistan are found in Northern Areas, Karamosh Valley, Shagesh and Shagar Valley.